Nothing says Happy Holidays like a looong road trip with kids! Ok, I’m joking. For most people, traveling with kids is often their least favorite part of the package. Yet, if you have friends or family far away, a road trip may be a necessary part of your celebration. How can you survive? Here are some suggestions to help keep your holidays sane! Got a car with toddlers in it? 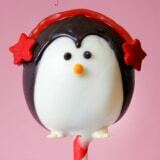 Bring along their favorite movies, small toys and games, or holiday song compilations to keep them happy. 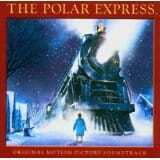 Audio versions of stories like The Night before Christmas, The Polar Express, or another such stories are also great distractions. Older kids may be able to read or play a portable gaming device, or follow along on a map showing your route and points along the way. Tucking a new or forgotten plaything into the car is oftentimes a hit (or a special early holiday gift), as it gives kids something different to concentrate on. A cookie sheet to play magnetic games on is also a car-friendly entertainment option that won’t spill if you round a corner! Remember to prep for possible bad weather! If your holiday travels include snowy regions, be sure to tuck a small shovel, blanket, de-icer, gloves, kitty litter (in case you need it for help getting out of ice or snow), and other car necessities before heading off. Check the weather forecast beforehand so you know about forecasted rainstorms or other weather possibilities and can prep for them. 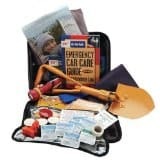 Consider the AAA Severe Weather Road Kit from Amazon. You know your family; you know the length of the road trip. Try to work in stops that occur before you think the kids will melt down, especially knowing there will probably be more traffic on the roads and on public transportation during this time of year. You’ll also want to leave yourself more time than you think you’ll need, so that you won’t feel rushed or intimidated by roadways crowded with holiday travelers if you encounter them. 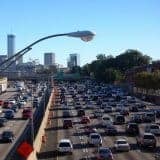 In addition, if you keep in mind that other travelers are trying as hard as you are to get to their loved one’s home, it can often make it a little easier to deal with the roadway competition. If possible, scout out interesting stops along your route that you can visit if everyone needs a break. 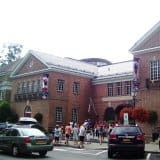 Last year on our way to Vermont from Pennsylvania, we stopped in Cooperstown, New York to walk around and to see the Baseball Hall of Fame. It ended up being great part of our trip! The last thing you want when you pull up at Grandma’s is to have everyone at each other’s throats, or not talking at all because of a stressful journey, so doing a little research on kid-friendly attractions on your route before your holiday trip might be worthwhile. Find and plan activities on your route in advance on trekaroo.com. Who doesn’t like to eat along the way? Being prepared with car-friendly finger foods (especially the healthy ones) can occupy weary kids (and parents) during the parts of the trip that really drag. Making it fun (like holiday snacks they aren’t normally allowed to have or snacks related to the state or city you’re visiting) can also break up the humdrum drive. We have had the best success on road trips if we remember to slow down a bit and enjoy the ride. If there is scenery to view, do so. If your kids like to sing or talk to you during the ride, try to do that as well – for at least a little while. If it snows, take a minute or two to stop and play in it. 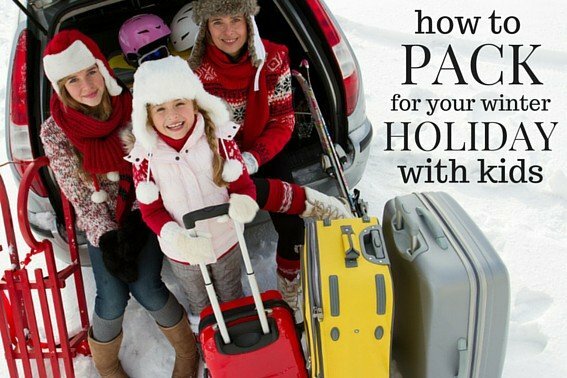 Everyone likes a little undivided attention once in a while, and if you can shift the focus off of the boring road trip, it may make holiday memories for you that you’ll remember for years. 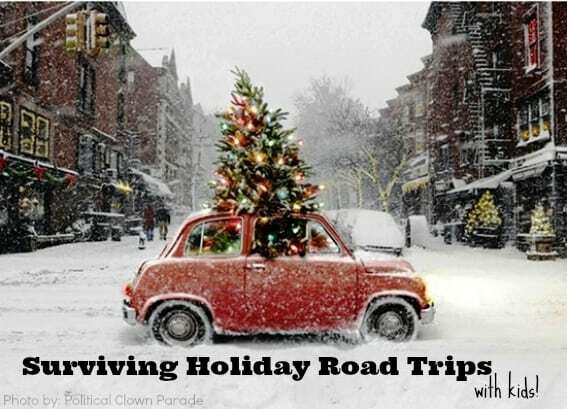 Planning ahead and preparing as much as possible can help make your holiday road trips more sane – and that’s a great gift no matter who you are! This is one of the best posts I’ve seen on the subject of family road trips. 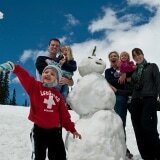 I am a road trip fanatic and do a cross country one for Christmas each year with my family. I have found that limiting sugary snacks, having plenty of entertainment and planning well enough so that the children can focus on “what’s next” are crucial to a pleasant experience.